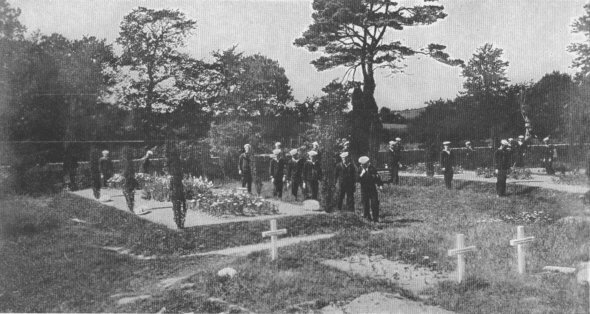 THE SEAS GIVE UP THEIR DEADSailors from the U. S. Fleet stationed at Queenstown, Ireland, visiting a spot that will always remain sacred in American history--the burial place of the victims of the Lusitania disaster, located on the outskirts of Queenstown. 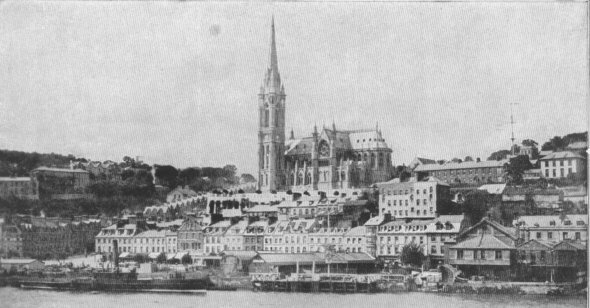 THE NAVY'S HOME IN EUROPEHere is a view of Queenstown, Ireland, the place where the first United States warships in European waters reported on May 4, 1917. Later on in the war this city became the largest American naval base on foreign soil.